We have a very cute, very unexpected treat to share with you all today – a selection of gorgeous photographs have been released from the Cambridges’ first holiday as a family of four. I will admit to squealing with delight at the first news of these photos, even if it did take me a bit to secure them for this site. 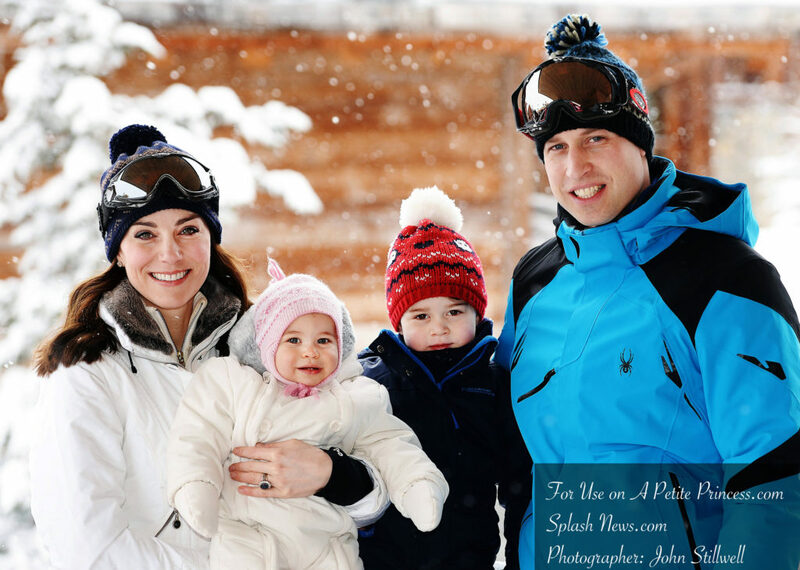 William and Kate flew with George and Charlotte to an undisclosed location in the French Alps last Wednesday. The family may have used a private jet for this trip, the thought makes sense hen you consider the timing and the fact that there were no random sightings at airports or on planes. The photos were released this morning, hours after the family’s return to ensure they could enjoy the break in private. Charlotte with her Daddy! This one makes me so happy because it is the first photo that has been released to the public of William holding Charlotte…Thanks for thinking to get this one Mr. Stillwell! 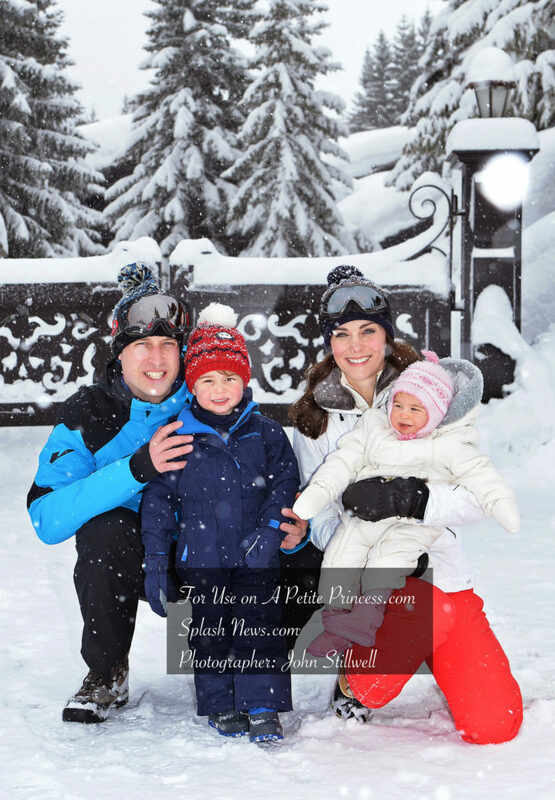 William and Catherine decided to invite Press Association photographer John Stillwell to take portraits of the family. Mr. Stillwell is an excellent photographer – one the couple clearly feel comfortable with. He took Prince George’s first official birthday portraits at the Natural History Museum, and one wonders if he’ll get the nod for Charlotte’s first birthday portraits as well…we should see those at the end of April if they hold true to form. 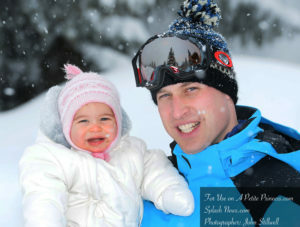 Photocalls when on skiing holiday are a bit of a royal tradition and so it’s really nice to see these. 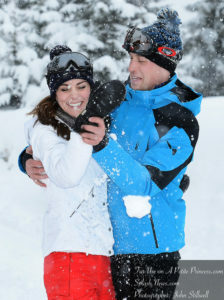 We even got to see some of William and Catherine just goofing around and sharing a cuddle of sorts. 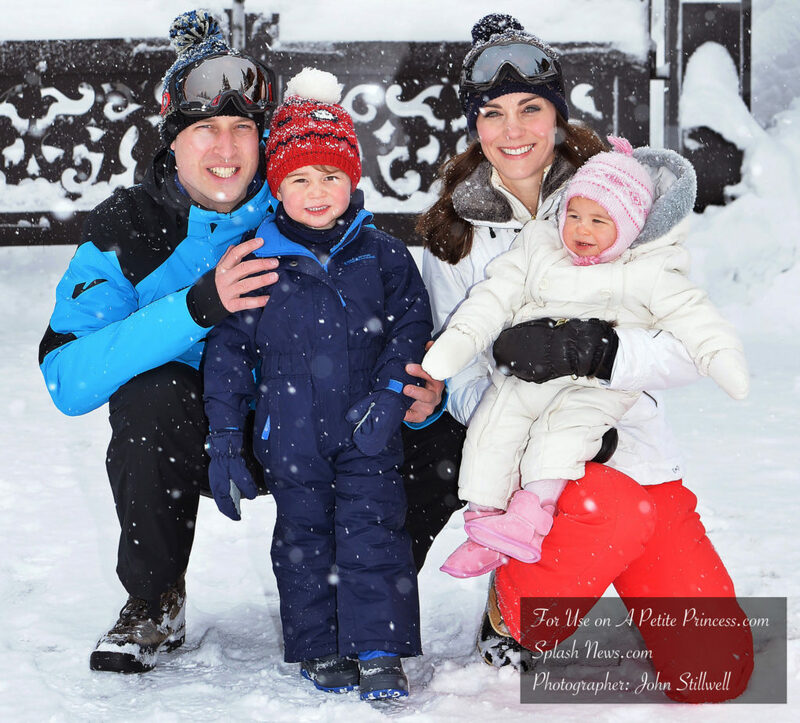 Upon releasing these today the Palace also revealed it’s the first time either of the children have played in the snow. Both George and Charlotte appear to be having a wonderful time and both look absolutely adorable. We’ll be back soon as we have a very busy few days ahead, but for now cuddle up with a cup of cocoa and enjoy all this cuteness. « How Should I Dress my Little Boy for Easter?